When fall hits, the Bike season changes, but it doesn’t slow down! 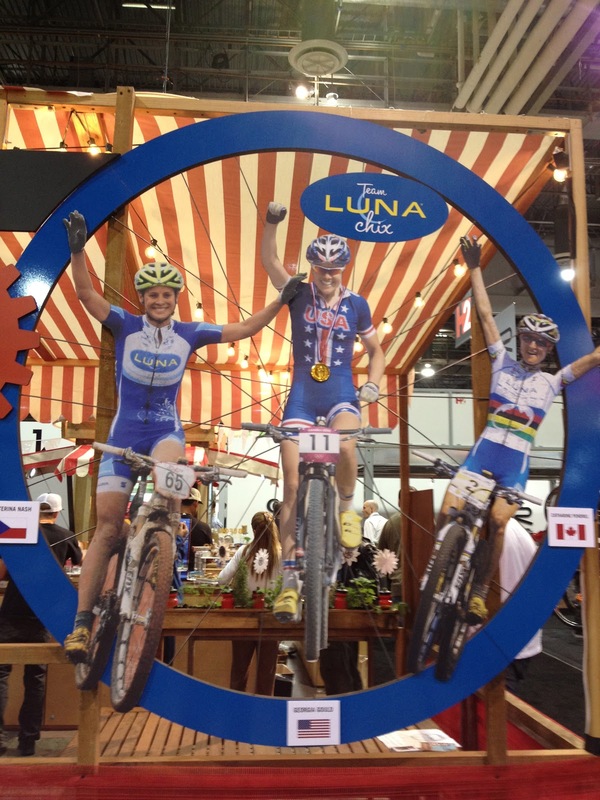 The last few weeks have been super busy with Luna and ClifBar putting in an awesome presence at Interbike. I even got to team up with Kamloopsian Matt Hunter for some foosball action! Yes, yes Interbike is all business. 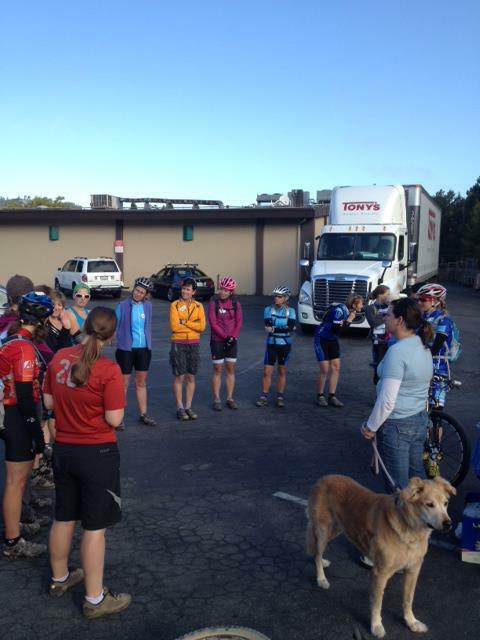 Then I headed to San Francisco 6 days later for a Clinic with the Bay Area Luna Chixs. There is nothing like going to ride with a group of 15 women that love mountain biking to make you realize how great a job you have, how lucky you are to be able to share your passion with others. Thank you ladies for keeping me inspired! 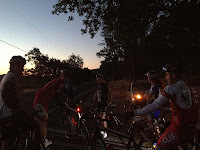 The next day was the infamous ClifBar Epiphany ride (and my birthday) where I was yet again impressed by how tough a group of people cyclists are and how awesome everyone at ClifBar is! 215km of rolling Napa Valley roads sure go by more quickly with great company. Thanks to everyone that made this ride and day so memorable! What a weekend at home? Time for some Thanksgiving dinner and local racing at Harper Mountain’s Oktoberfest. Keith, and I teamed up with our friend Chris for a 4hr enduro and had a blast on the fun trails and hanging out in the sunshine with the local riding scene. 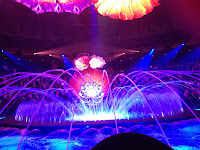 Of course I forgot to take pictures! And yes two days later I was back on a plane, but when your destination is the Southern coast of France in October it is pretty easy to do another trans Atlantic flight! 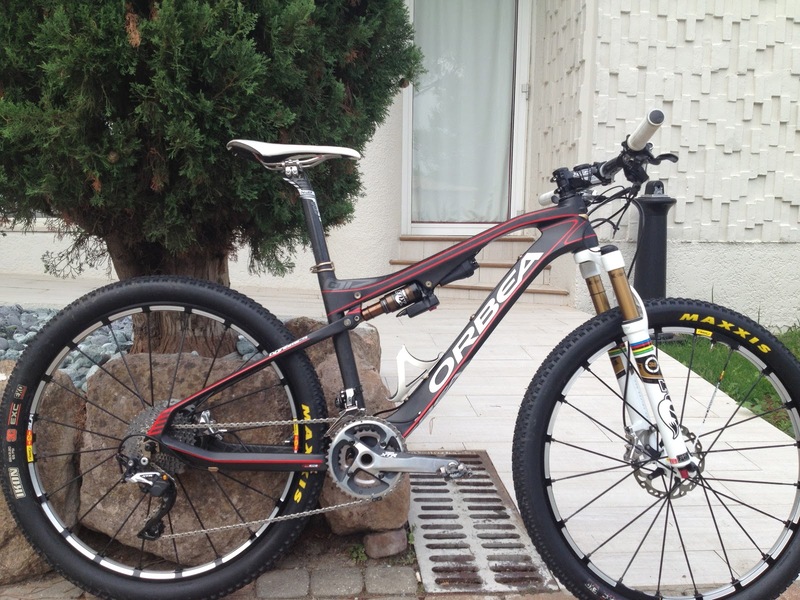 I travelled over for the Official Launch of the beautiful Orbea Oiz (raced the protype at MSA) at the Roc D’Azur Mtb festival. I’m so excited about this bike so was more than happy to head out on the trails with Julien Absalon and a group of journalists from all over Europe to test out the bikes. Roc D’Azur is a fabulous event drawing over 18 000 riders to Europe’s biggest mtb event. 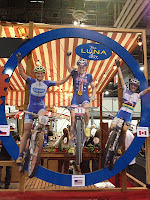 There are races for all ages and distances as well as huge expo areas for bike industry promotion (Picture a combo of Sea Otter and InterBike with beautiful weather and scenery! It was so much fun riding on the course with Julien and others excited to push the Oiz’s limits. As we were out an amateur race went through. The double takes and near crashes as passing riders realized Julien Absalon was with us were hilarious! I have been totally spoiled by Orbea with this experience and now they are going to have to deal with me wanting to come back every year. Saturday at 9 I race through 44km of hills, down rocky loose descents and up tough fire road climbs, along twisty forested singletrack and the Ocean, down and up stairs, through sand, over floating bridges and all in just over 2hrs. Should be an adventure.